This continuation of the bestseller which has won the hearts of the iPhone and iPad users is now available on Google Play! 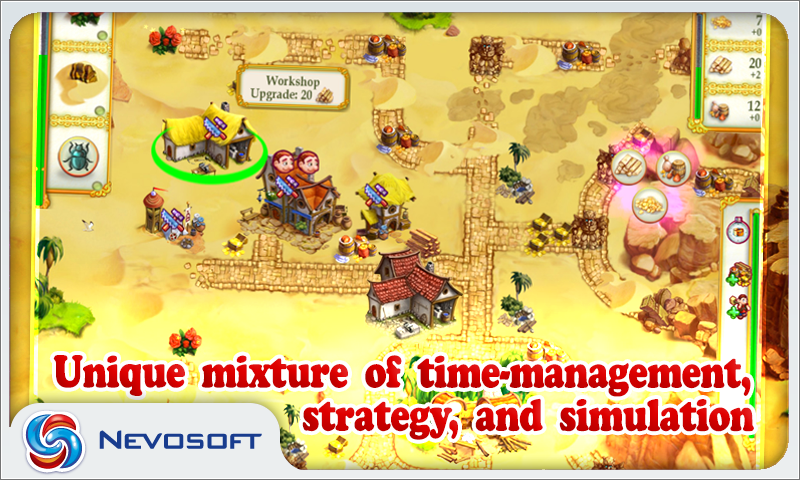 In the third part of everybody's favorite game, you will find fantastic landscapes and a very interesting game play combining the features of time management, simulation, and strategy. Now there are three heroes fighting for the beautiful princess' hand. They are Arthur and Helen's sons who have all chosen the same woman to become their wife. You will have to figure out which one is worth to receive Princess Elizabeth's hand in marriage! 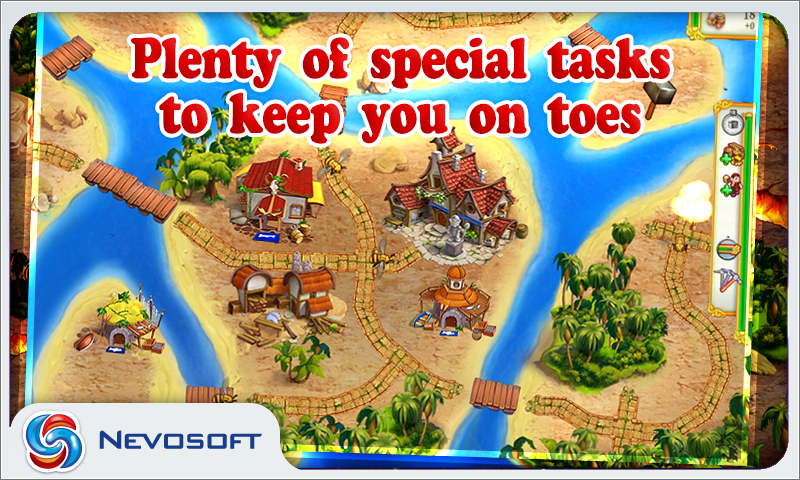 To do this, you would need to perform multiple tasks, survive treachery, and save the country from ruin. 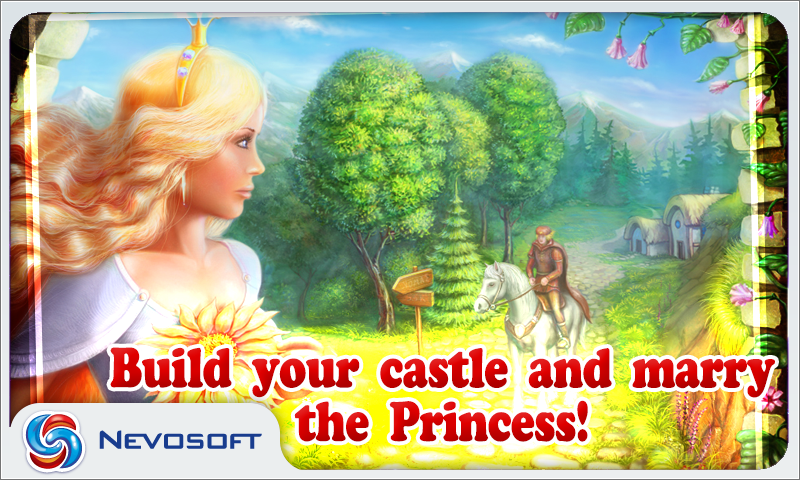 Nevosoft is proud to introduce My Kingdom for the Princess 3 for Android. Familiar landscapes and great gameplay that combines elements of time-management, simulation and strategy are waiting for you in the third part of My Kingdom for the Princess! It's been twenty five years since Arthur and Helen became a royal couple and raised three lovely sons. Their children grew up, and now it’s time for marriage. Unfortunately, all three sons are interested in the lovely heiress Princess Elizabeth. It's up to you to figure out who deserves her hand! My Kingdom for the Princess 3 features 60 levels in five different stages, 50 of them being engaging strategy levels while the other 10 levels are great mini-games. The bonuses are probably the most interesting feature in this game and contrast favorably to other titles of this genre. Some speed up your workers, others decrease the cost of removing obstacles or increase productivity of your buildings. 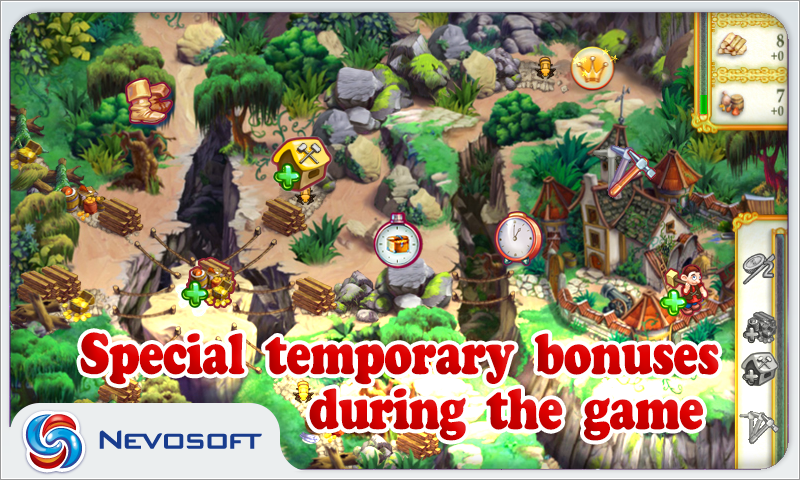 The game does have a few surprises such as more diligent workers, buildings which bring in more resources, five magical artifacts, unexpected bonuses, a new colorful interface, well balanced levels, that gradually become more challenging and many others. If you enjoyed similar titles or are a fan of this series don’t hesitate to give this newest installment a try, you surely won’t be disappointed. It’s time to prove that you are worthy of marrying a princess! Pass all the tests and win her love! Nevosoft is proud to introduce My Kingdom for the Princess 3 for Android. Familiar landscapes and great gameplay that combines elements of time-management, simulation and strategy are waiting for you in the third part of My Kingdom for the Princess! It's been twenty five years since Arthur and Helen became a royal couple and raised three lovely sons. Their children grew up, and now it’s time for marriage. Unfortunately, all three sons are interested in the lovely heiress Princess Elizabeth. It's up to you to figure out who deserves her hand! My Kingdom for the Princess 3 features 60 levels in five different stages, 50 of them being engaging strategy levels while the other 10 levels are great mini-games. It’s time to prove that you are worthy of marrying a princess! Pass all the tests and win her love! Nevosoft is proud to introduce My Kingdom for the Princess 3 for Android. 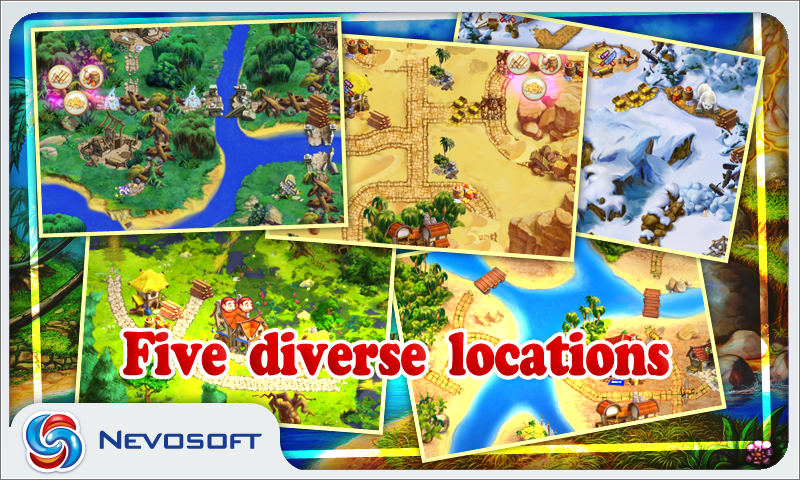 Familiar landscapes and great gameplay that combines elements of time-management, simulation and strategy are waiting for you! It's been twenty five years since Arthur and Helen became a royal couple and raised three lovely sons. Their children grew up, and now it’s time for marriage. Unfortunately, all three sons are interested in Princess Elizabeth! Pass all the tests and win her love!